Right now I've been listening to a lot of Bon Iver. I find myself coming back to both records every so often. They're both very nostalgic feeling and there isn't a bad song on either one. I've also been getting into James Blake for the first time. I had heard a bit from his second album, which wasn't quite for me, but his first album is really great. Lindisfarne (I and II) is definitely the highlight of the album for me. It's pure genius. The new Grimes singles are really great and I can't wait for the new album. The first single, Flesh Without Blood is really pop-y, which I'm sure is jarring for some of her fans, but I think it's really catchy and fun. Oh jeeze I'm glad you're getting into Blake's first record, it's definitely the best. A good track that (for some reason) is included on my copy is "Enough Thunder." For me, it's all Kraftwerk and The Knife lately, baby. Ahhhhh Computer Love is so good. Definitely one of my favourite songs from Kraftwerk. The Knife is always good too, though I still haven't been able to get into Shaking The Habitual unfortunately. This Stereolab album is sweet. Thanks for sharing it. Tryouts wrote: The Knife is always good too, though I still haven't been able to get into Shaking The Habitual unfortunately. I'm with you there. I do like Shaking the Habitual, but I'm more of a Silent Shout guy myself. Other than that I've been on a math rock kick for a while, mostly Don Caballero. I just love how they manage to seem laid back despite the mathy-ness. Joanna's new album every day. This King Crimson live performance also blew my mind. Animal Party wrote: This King Crimson live performance also blew my mind. Just got some new vinyl! 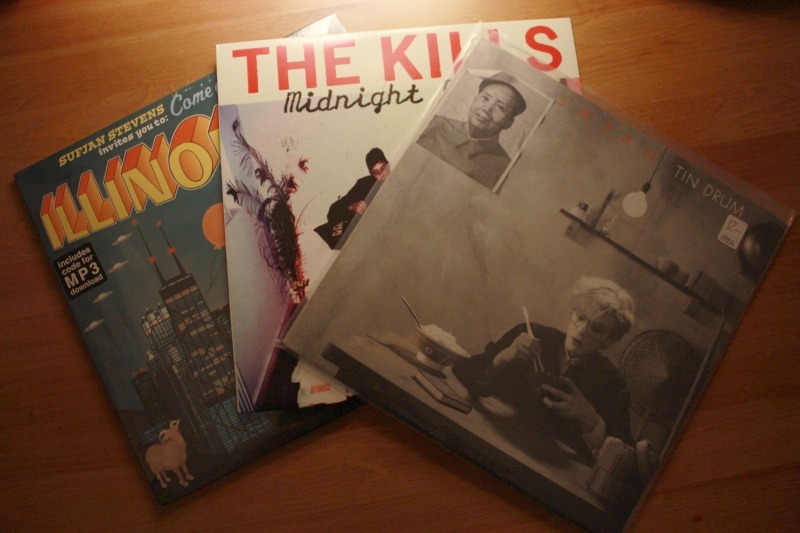 Sufjan's Illinoise (snagged for a great price), The Kills' Midnight Boom and Japan's Tin Drum! Mike Patton's EP with DEP is actually so good too, just let it happen. Not for you? No, it totally is. Can't say I'm a fan of Ol' Bruce, but that ep is killer! That's too bad man. He's a huge source of inspiration. Killer guitar player too. A LOT of Depeche Mode recently. It's so 'naff' as my Dad would say, that's why I love it so much.